We’re Going to the Cape is the song that captures the Sights, Sounds and the Outdoor feel of Cape Cod. It just makes people want to go and relax on the Cape whenever they hear it. It is truly Cape inspired and was written and recorded by Steve Schaefer in the summer of 2009. 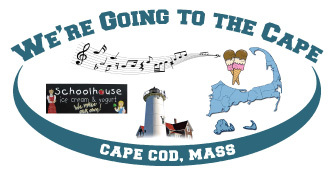 The catchy hook of the song, We’re Going to the Cape, has caught the attention of some businesses on the Cape as a way to promote their Product or Service. Music CD Promotional Giveaway for your Customers or Guests. Picturesque Musical DVD Giveaway Highlighting the Cape and possibly your establishment. Have your advertising pay for itself! 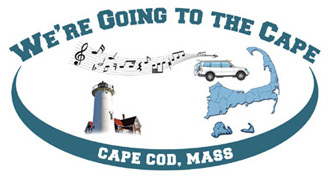 Whether it’s a vacationer wanting a copy of the song We’re Going to the Cape to play in their car while driving to the Cape, a person wanting to show their love of the Cape with a We’re Going to the Cape Oval Sticker on their car, or a business wanting to attract people to their establishment, We’re Going to the Cape is for you! It will be a Positive for both the Customer and the Business. Business inquiries only: Please call 914-962-2875. Web Design by Wagner Web Designs, Inc.